It is dangerous to take pure, powdered caffeine because 1 teaspoon is equivalent to 25 cups of coffee. In 2014, the FDA issued a warning against taking caffeine powder, since two deaths attributed to caffeine had been reported. Caffeine is a central nervous system stimulant. It is found in tea leaves, cocoa beans, and kola nuts. Caffeine is consumed by people in the form of chocolate, coffee, tea, cocoa, soft drinks, or even drugs. 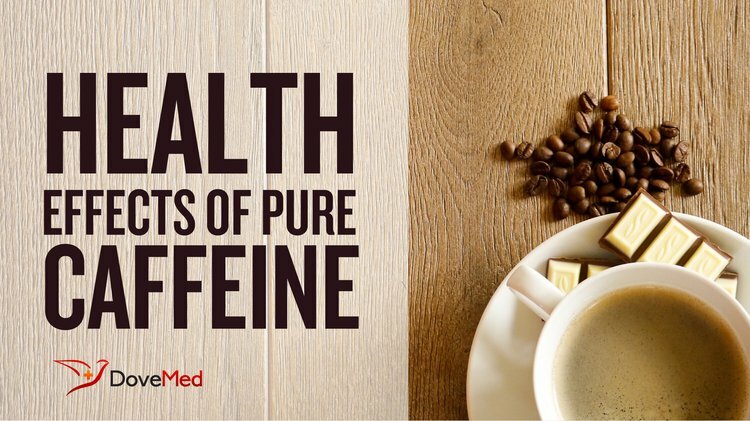 Pure caffeine is odorless and bitter to taste. It belongs to the xanthine chemical group. According to the U.S. Food and Drug Administration (FDA), 90% of people all over the world take in caffeine in some form or the other. In America, 80% of adults consume caffeine daily. It is reported that on an average, each adult ingests about 200 milligrams of caffeine each day. This amount corresponds to a strong cup of coffee. According to a paper published in Nature Neuroscience in 2014, caffeine can enhance certain memories at least up to 24 hours. Caffeine can help protect human brain cells and reduce the risk of developing illnesses like Parkinson’s disease. When consumed regularly in the form of coffee, caffeine may stimulate the gall bladder and lower the risk of developing gallstones. It reduces inflammation and may prevent heart-related issues. Caffeine activates the nervous system. A study published in the Journal of Sports Sciences in 2014 showed how chewing caffeine gum improved the mean sprint performance power of male and female cyclists. Caffeine is associated with a healthy longevity and may protect from cognitive decline of the brain due to conditions, like Alzheimer’s disease, as per Johns Hopkins researchers. Caffeine is a diuretic and so it causes the body to lose water via urine. It can lead to dehydration, especially if one drinks caffeinated drinks while exercising. It affects the cardiovascular and neurological systems. A research study published in the journal Postgraduate Medicine in 2015 suggested that the caffeine content of energy drinks was responsible for many health issues of adolescents and young males. Caffeine can cause feelings of anxiety and restlessness and an excess of the substance can hamper concentration. A study published in the International Journal of Surgery in 2015 showed that caffeine has a negative effect on the task economy of surgeons performing laparoscopy. It can increase the risk of miscarriage. A study published in the International Journal of Obesity in 2014 showed that exposure of the fetus to caffeine was also associated with an increased risk of childhood obesity. Caffeine works by stimulating neuron firing in the brain. The pituitary gland perceives this situation as an emergency and directs the adrenal glands to release adrenaline. Caffeine also raises levels of dopamine in the body, which is probably the reason for its mildly addictive effect. The effect of caffeine is at its strongest within an hour of consuming it, and may last from 4 to 6 hours. It is dangerous to take pure, powdered caffeine because 1 teaspoon is equivalent to 25 cups of coffee. In 2014, the FDA issued a warning against taking caffeine powder, since two deaths attributed to caffeine had been reported. Li DK, Ferber JR, Odouli R. Maternal caffeine intake during pregnancy and risk of obesity in offspring: a prospective cohort study. Int J Obes (Lond). 2014 Nov 12. doi: 10.1038/ijo.2014.196. [Epub ahead of print] PubMed PMID: 25388405. Paton C, Costa V, Guglielmo L. Effects of caffeine chewing gum on race performance and physiology in male and female cyclists. J Sports Sci. 2014 Dec 17:1-8. [Epub ahead of print] PubMed PMID: 25517202. Ali F, Rehman H, Babayan Z, Stapleton D, Joshi DD. Energy drinks and their adverse health effects: a systematic review of the current evidence. Postgrad Med. 2015 Jan 6:1-15. [Epub ahead of print] PubMed PMID: 25560302. Quan V, Alaraimi B, Elbakbak W, Bouhelal A, Patel B. Crossover study of the effect of coffee consumption on simulated laparoscopy skills. Int J Surg. 2015 Jan 14. pii: S1743-9191(15)00021-7. doi: 10.1016/j.ijsu.2015.01.004. [Epub ahead of print] PubMed PMID: 25596446. US Food and Drug Administration. (2014). FDA consumer advice on powdered pure caffeine. Magdalan, J., Zawadzki, M., Skowronek, R., Czuba, M., Porębska, B., Sozański, T., & Szpot, P. (2017). Nonfatal and fatal intoxications with pure caffeine–report of three different cases. Forensic Science, Medicine and Pathology, 1-4. Erickson, B. (2016). US senators push for ban on pure caffeine. Chemical & Engineering News, 94(18), 18-18.